He's not just "going to Hollywood" -- Simon Cowell will be there permanently, at least in name. On Wednesday, Cowell became the latest celebrity to be honored with his own star on the Hollywood Walk of Fame. 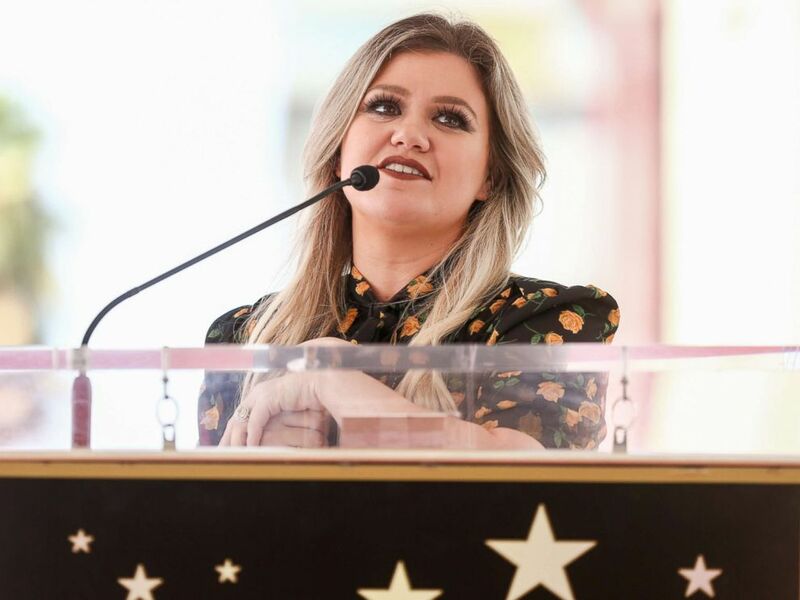 On hand to help him celebrate was a singer he helped launch to superstardom: Kelly Clarkson, the original "American Idol." Clarkson said she was honored to be chosen to speak at the ceremony and credited the music producer and long-time show judge for giving her a start 16 years ago. "Literally we were right here 16 years ago when this man helped change my life," she said at the ceremony. "Thank you is what I really wanted to say to Simon Cowell today." Clarkson mentioned another attendee, former "American Idol" judge Randy Jackson, and waxed nostalgic over the first season of the show, describing it as "beautiful, organic ... really fresh and innocent ... a really beautiful moment." Kelly Clarkson speaks onstage during a ceremony honoring Simon Cowell with a star on the Hollywood Walk of Fame, Aug. 22, 2018, in Hollywood, Calif.
She also praised Simon for what she believes is his true talent: "Finding authentic people that have a raw talent and are really themselves and that's all that they really know how to be." As for Simon's legendary "meanness," Clarkson said she truly appreciated it. "The best friend you could ever have is someone being honest with you, even if they don't agree," she told the crowd. "Now, granted, I was one of the ones you were never mean to -- I'm still waiting!" Other stars Cowell helped launch through competition shows were also on hand, including Adam Lambert, Katharine McPhee, One Direction's Louis Tomlinson, Leona Lewis, Fifth Harmony's Ally Brooke, Grace VanderWaal and Cowell's fellow judges from "America's Got Talent."